We have a few Blue Fronted Amazon babies for sale. Some are still in the nest and some are with the hand-raiser. There are six available at the time of writing. There are two confirmed females. The rest have not been sexed yet. Please call the number on our contact page. Just check out the photos above and below. The first are of the babies and the last photo is Mum and Dad. The hand crafted Brush-Tail Possum Box, a new addition for wildlife accessories is now available for sale online or by phone order (07 3277 5672). The box is a product of years of careful on-site research by some of the most experience wildlife carers in S.E.Q…. 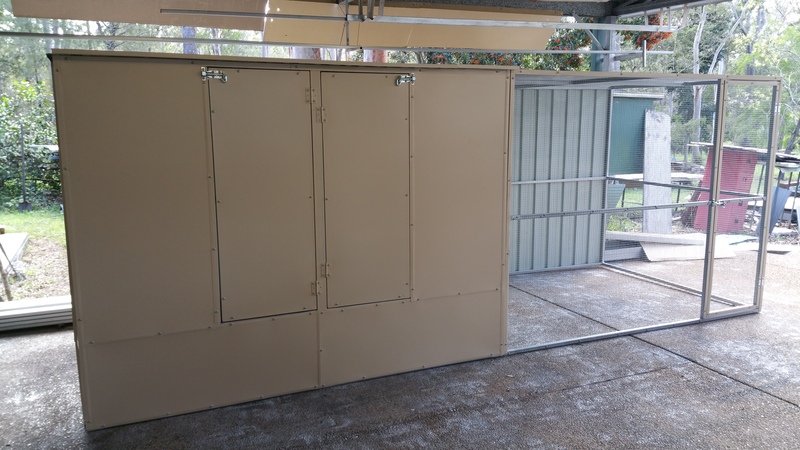 Its design, form, size, durability and maximum safety for any tenant, suitable for both urban and forest Brush Tail… (two way portholes and flip up lid reinforces the checked in hinged escape top and stop). This objective brings some alternative to the currently available commercial and back yard death traps that should never be allocated to a forest to begin with. The visually pleasing Brush Tail Box, is made of the best material available and workmanship of round corners, arrised and bevelled edging for minimum fraying and splintering. 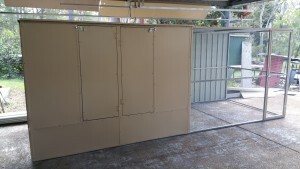 This coupled with silky oak landings, bracing and trimming afford the box maximum life expectancy for the initial honest effort…. and we see no sense in short cut foreign production… ($60 stapled together jobs). The production and sale of this box is two-way….. that for every two boxes sold at retail, one box shall be allocated free of any cost to a selected non-profit and unaided wildlife carer. 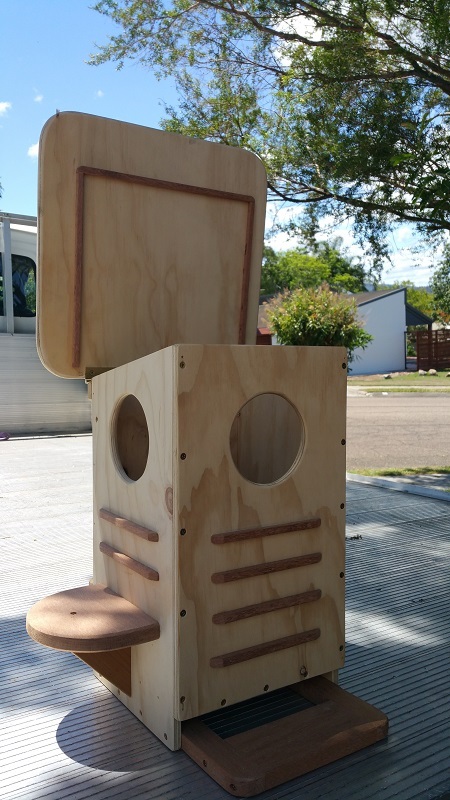 The Brush Tail Box can also double as a Kookaburra box if so preferred by the inclusion of an easily placed and removable raised platform for proper nesting height. Best regards to both public and wildlife carers! It’s always a pleasure to have a few chickens clucking around the back yard. Not to mention the benefit of free eggs! To keep your chooks safe from foxes and other predators, it’s best to have a sturdy, fully enclosed chicken cage for them to return to at night. For new chook owners, keep your chooks in the cage for a few days. After that you’ll find they can be let out during the day and will return to their cage at dusk. Just make sure the door is securely fastened when they’re back inside. 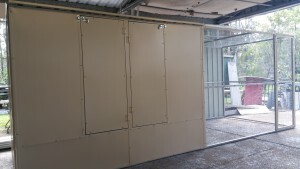 Our chicken coops are designed for easy access and a convenient opening for collecting eggs. 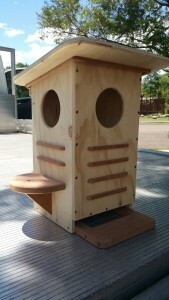 We can include nest boxes too. 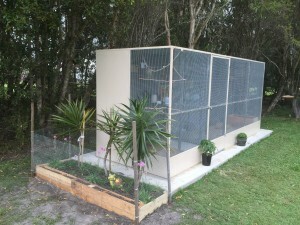 The following photos feature a large chook cage, taken from different angles. This cage is also suitable for cats. Measurements are 1,600 wide, 1,500 high and 4 meters in length. It can be in two parts if required. there is easy access for nest boxes or shelves if using as a cat cage. The price of one this size is $1,100. We also have chicken tractors. These are for a small number of chooks and can be easily moved from place to place, giving the chicken fresh grass every time. Cages can be built in different sizes and designs. 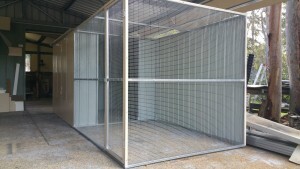 Simply call us to order your new cage. They are suitable for just a couple of chickens or for however many you have. 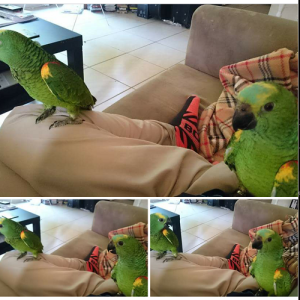 Do you own a pet bird? If so you probably already know the dos and don’ts to keep your pet healthy. There are many things to look out for and to be careful of so that your pet doesn’t get sick or become injured. 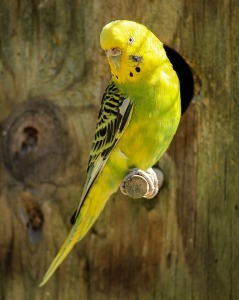 Feeding your bird the best diet for his species, keeping him clean and providing fresh water are all primary concerns. What is less well known, however, is metal poisoning. This can be a potential risk when you own a pet bird. Don’t buy a cheap birdcage! A good quality birdcage that you buy in the shops should be safe enough. The bars will be made either of stainless steel or they will be plastic coated. Feeding utensils are generally made of quality steel, or you can buy plastic or ceramic feeders. Toxic metals to avoid are lead and zinc. One area you need to be aware of is a bird aviary that is kept outside. These are great for birds as they are able to spread their wings and get plenty of healthy exercise. You’ll need to check the wire that surrounds the aviary though. Unless it was manufactured with quality wire, there may be dags, or small pieces of wire that can come loose when the bird chews on them. A simple way to find these is to run your hand gently over the wire. If it feels rough, chances are it has dags and you’ll need to wash it down well with a scrubbing brush and vinegar before putting any birds inside. This is a tedious job, but one that needs to be done for the health of your pet. If you let your pet bird out of the cage from time to time, make sure you watch him at all times. Your bird could land on a hot stove, behind a cupboard or even fly out of an open window. Your bird may also be tempted to nibble on metal objects which may expose him to metal poisoning. The safest way is to have a room where there are no traps for your bird so he can fly around safely. If you suspect that your bird has been poisoned, take him to the vet immediately. Signs of metal poisoning in birds are lethargy, weakness, loose stools and vomiting. Any time your bird appears fluffed up, it can mean there’s something wrong. If caught early enough, a vet can treat a bird by means of chelation which will allow the metal to pass through it’s system. However there is no guarantee of a cure. Enjoy playing with your pet birds by letting them out of their cage now and then. Just make sure there are no dangers in the room before opening the cage door. 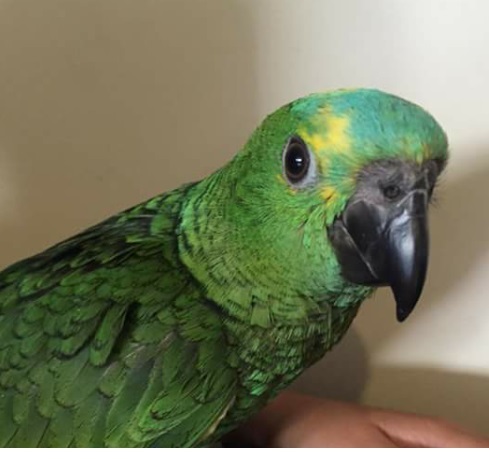 If you are purchasing an aviary, always make sure the manufacturer is using good quality aviary wire and you and your bird will enjoy many happy years together. We sent Clive a photo of the aviary we wanted. It was only available from Melbourne and the company didn’t respond once they knew we lived in Qld. They did quote us a price minus delivery charges and then never returned our calls. Clive built us exactly what we wanted at a price that beat the other company by over $400 and that included delivery. It arrived today and it is magnificent. 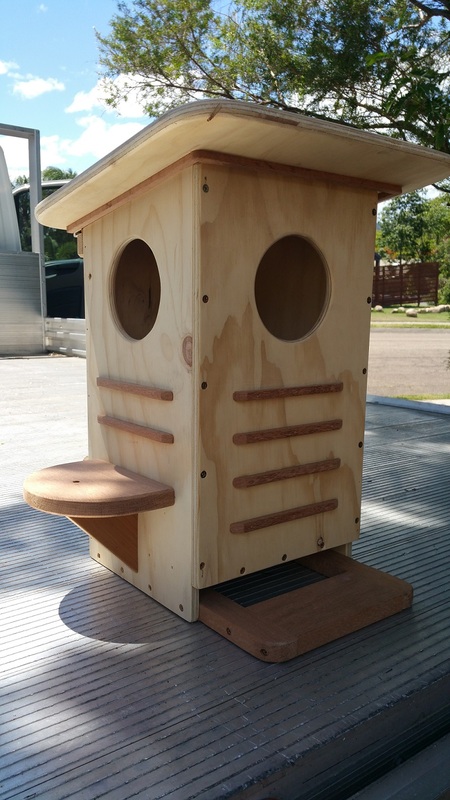 He included a feeding station, shelves for nesting boxes and perch holders. 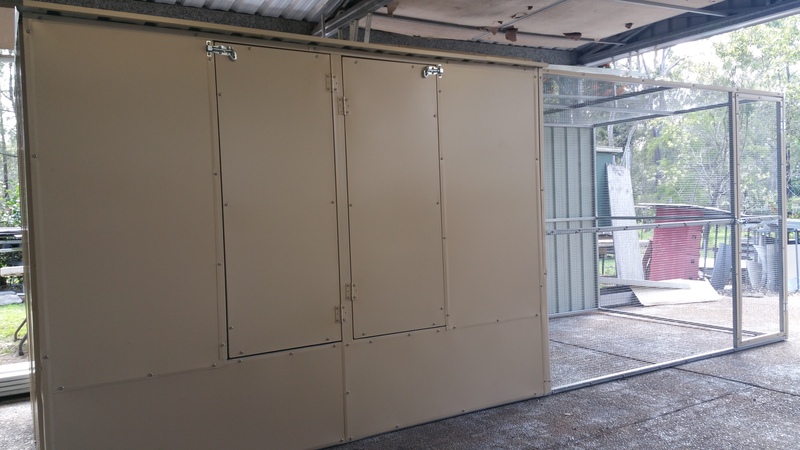 Clive kept in touch to let us know how it was going and for a custom built aviary measuring 2.7 x 1.5 x 1.8 meters it took 2 weeks from order to delivery. Thank you so much Clive we are over the moon. Dear Clive, we finally have the aviary set up with birds. We are so pleased by the aviary you built. It’s exactly what we asked for, but honestly it surpassed our expectations!! Our friends and family have all commented how well made it is. It’s perfect in size and design. 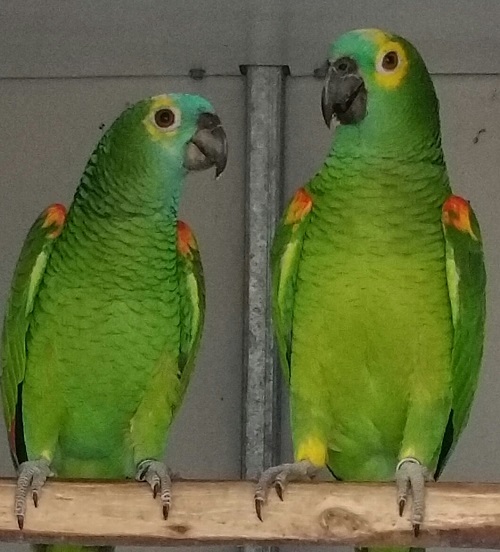 We also really appreciate that you deliver for a very reasonable price – and your set up for getting the aviary off the truck and in place made easy work of the task!! 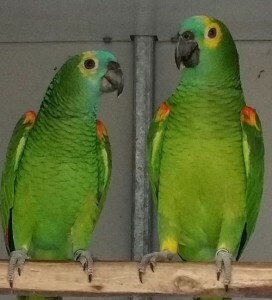 We’ll definitely contact you again if we are ready for a second aviary. I have attached some pics of the aviary if you want to use on the website – if you want different angles let me know as I am more than happy to take them. I also included some photos of our birds, just because we wanted to show you who is living in the aviary. We are extremely happy with the aviaries Clive made for us, and as you can see, our birds are also. All aspects of the design/specifications were clearly explained and the quality exceeded our expectations. Nothing was too much trouble for Clive. Would highly recommend. Thank you so very much Clive for our magnificent Aviary, you made our dream come true. It all started when we were sitting on our deck watching the birds in the garden flying around, then looking at the two little cages in which our beloved birds lived in, “thinking we need to get an aviary”. A search on google, we came across Clive’s Aviary. Best of all you were local. A phone call later Clive was at our house measuring up, explaining what we need to do to get the base right and then email through a quote. Once we had the base completed I advised Clive, two days later Clive had built the Aviary and delivered it. Once the Aviary was in place, we stood back in amazement. Could not believe what an awesome job Clive had done, even returning the next day to help put up nesting boxes. It is such a joy to now sit on the deck, watching our birds flying around, sing and chatting. We highly recommend Clive if you’re looking for that WOW factor in your Aviary. Thank you so much for the beautiful aviary you made for me. I think the cockatiels really love their new home! They get plenty of exercise and now that the weather is nice and sunny, they actually spend most of their time in the meshed area, even sleeping there at night, judging by the pattern of droppings. I have a small bird bath in there and that has become their morning ritual. Every mornings I give them fresh water in the bath, and straightaway they dive in and start their ablutions. My children and I like to spend the evenings sitting next to it and admiring the birds. I also like to go in there and play with the birds a lot, now that I don’t have to fear them getting into trouble. They certainly seem more comfortable and are a lot more affectionate. And thank you for the advice about positioning. It gets a nice cross breeze and is well ventilated, so this summer heat will not be cooking my birds. Now I only wish I had made it bigger! Hope business is well. As promised a few months back, I have attached photos of our custom patio cage you built for us for your website. I have also attached a couple with our new little Blue & Gold, Lucy enjoying her new day cage. Also wanted to write to say a big thank you for all your help from start to finish. You gave great advice and your professional out look on everything was amazing. Shows you realy care about your customers. I will be returning in the future for all of my cage needs and will be passing your details to anyone I know who is in the market for a cage. I have been meaning to email you for a while to let you know how happy am am with my cat enclosures. They are wonderful and the cats love being in them. They are very well made and just right for my cats. When ever people come over to our place they comment on how nice they look and how well made they are, so thank you so much for all the time you spent with me and showing us what would be best for my cats. Well, the birds are in, plants and nest boxes too. Everything looks great. Finished yesterday due to that terrible stormy weather. Peter thinks the aviary is great, perfect in fact. I just wanted to drop you a note to say thank you so much for the cat enclosure you made for us. We’ve found that the quality of the enclosure is superb, and your attention to detail in making sure all the welded joins etc are just so neat, with no sharp edges anywhere. The size has proven perfect for our 3 large cats, and they are so happy now being outside in our yard during the day, and then coming into the enclosure to sleep at night-time. We easily added carpet to the shelves and put in a few blankets, a pet bed, and some snugs – and it’s so homey for the cats. This is not criticism at all, just feedback. The only other thing that would’ve been helpful is to have a catch/lock on the inside of the gate too, because we sometimes have to go in there to clean up or top up water or food but want the cats to stay in the enclosure while we do that, and we have to hold the gate closed while we are doing it to keep them in. Just thought we’d let you know about that. Anyway, thank you again. Your product is of the highest quality, and your service was amazing. All the best – From Cathy & David (and our 3 very happy and contented furry ones… Bonnie, Clyde & Oscar). Just writing to thank you for the great job you have done on our triple suspended aviary. Thanks also for your endless patience when I couldn’t make up my mind about the size, doors etc. 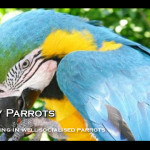 I would recommend you to anyone looking for a bird aviary as your attention to detail and quality of work is second to none. 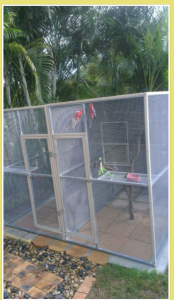 ‘Clive did a great job building suspended aviaries to my exact requirements. 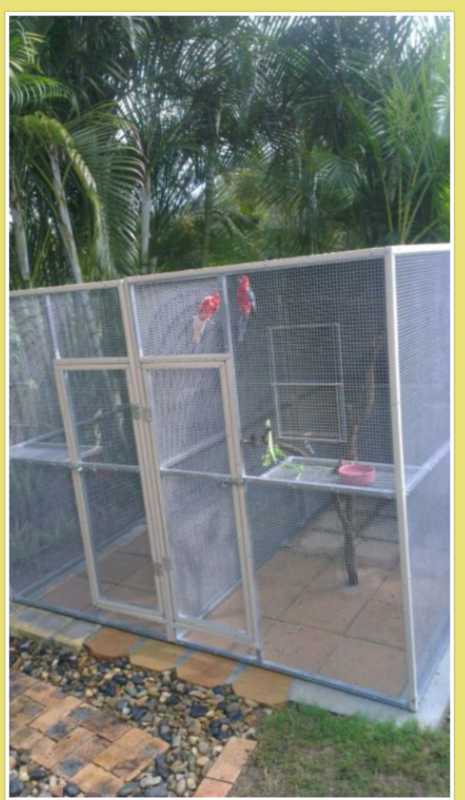 the cages are of such high quality and i know my birds are safe and very happy. The aviary is great, exactly what i wanted. We put the birds in there yesterday and they seem to be doing really well settling in. I kept them in the coop for a week when I first got them and they now go home at dark all by themselves – thanks for the tip! Had to build a fenced run around the coop so the dog will leave them alone, apart from that it’s all good. Thanks for all your help. 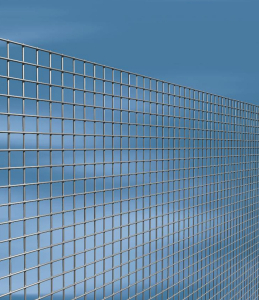 Here is the mesh I use at the moment for building aviaries. For a while now we have had challenges sourcing quality wire for aviary construction. Although we still have some Australian made Waratah wire, this has now ceased production here and supplies are limited. Fortunately we are now able to obtain quality wire from Europe, used by aviculturists in that part of the world. The wire is called Esafort and comes from Italy. It is very high quality, galvanised with no loose strands or dags. It also doesn’t warp or twist, so wastage is cut to a minimum. It also rolls out very straight which makes for a better appearance. Esafort wire has a lifespan of around 20 years. It is constructed from quality steel wire that is zinc coated after welding, giving a bright shiny and even appearance. The zinc is applied using a proprietory system used only in Italy. Esafort is available in 30 metre rolls and 1.45 gauge. The best thing is that this particular wire doesn’t need scrubbing before putting your birds in! Unfortunately we can no longer offer this for sale, due to a price rise and limited availability. It is only used for aviary building. Colorbond depends on supply at the moment. Also colours do vary and not all colours are available. Please contact me as prices vary with the quality. Due to a downturn in the building industry, colorbond is not as freely available as it was, but this could change at some stage.